There he goes again. Pope Francis is confusing the point. He condemned religious violence in response to the attack in Paris. Westerners tend to applaud the condemnation of religious violence. All well and good. While the sentiment is understandable coming from a man of the cloth, it conflicts with Western traditions of free expression, while enabling repressive religious zealots around the world to claim the Pope is in their corner. I wrote this a year ago to honor those who lost their lives in both 911 tragedies. All night I thought about the families who lost so much on September 11, 2001, the day of the most devastating domestic terrorist attack in American history. 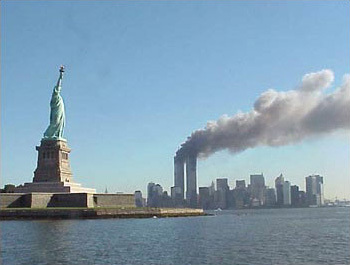 Over 3,000 Americans lost their lives. All week I have been debating whether or not my son, Christopher, who was born in 2001, should watch the documentaries reliving those tragic events. We watch, but it is still hard to comprehend. It is still hard to believe. Christopher says he does not remember a time when we did not think about terrorists. It is the new normal. We know when something feels like terrorism. We do not believe there is such a thing as “spontaneous attacks” anymore. Those are just words that are made up. All morning I thought about how I could come up with the right words to honor these victims, some of whom leapt to their deaths to avoid the flames that were overtaking the towers. I also wanted to pay tribute to the four Americans who lost their lives in Benghazi one year ago today. Their names were Ambassador Christopher Stevens, Sean Smith, Glenn A. Doherty, and Tyrone S. Woods. I thought about how there really are no words that are good enough in and of themselves to bring closure to the families and friends of the fallen who have lost so much. Only words accompanied by concrete action can really be meaningful now.